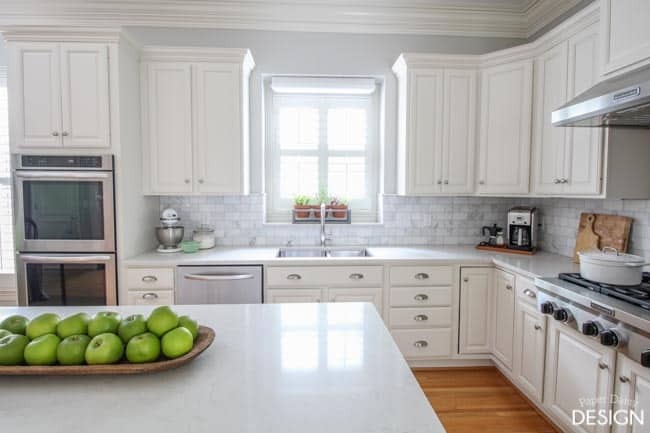 There is just something special about a white kitchen, they are timeless, yet on trend and always unique, even when the same materials appear to be selected time and again. 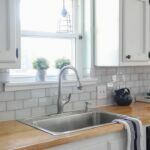 Yesterday, I shared a sneak peak into my friend, Mary’s kitchen. I built the triple potted planter for her windowsill as a spring project. But really, I just wanted to give her something special for her new kitchen. 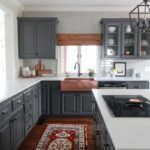 It fits the bill for what she had been looking for and is the perfect little addition to the dream kitchen she worked so hard to make a reality. When I met my neighbor, Mary, a couple years ago, one of the first things she said to me when I stepped into her kitchen, was how much she hated her dated kitchen. Here’s a before shot. 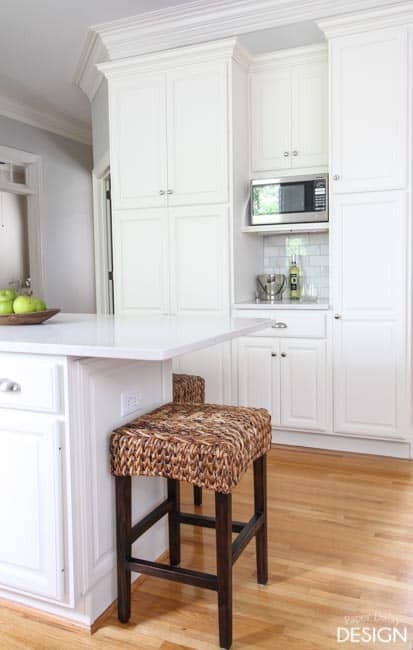 I told her without hesitation, that her kitchen had fantastic bones and all she needed to create the kitchen of her dreams was to paint her cabinets, update her backsplash and countertops. 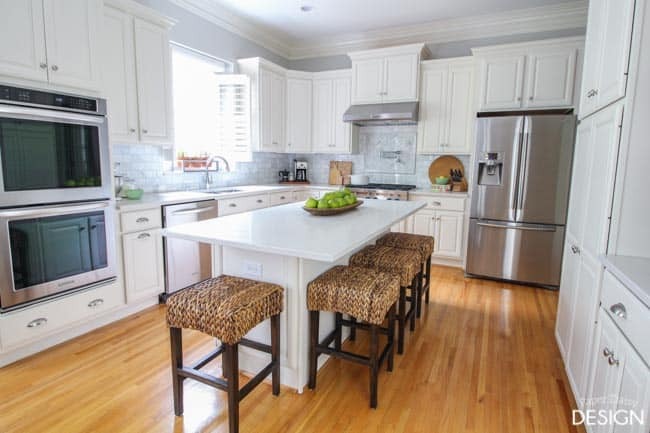 It sounds like I created a whole bunch of work for my friend Mary, but she had the luxury of living close by and carefully watched and took notes as we made over our kitchen and then our master bathroom. I kept encouraging her. She could do it! I never doubted that fact for one second. 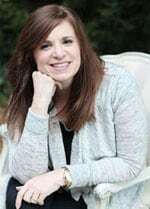 But she readily admits she struggled with committing to the myriad of choices and options. 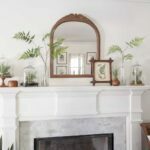 I think she is like many DIY’ers who want to be absolutely, positively sure they are making the right choices and know every detail of how to tackle a project before they can ever make a move. In the end, she chose the exact cabinet paint color and countertop as I used to update our kitchen. 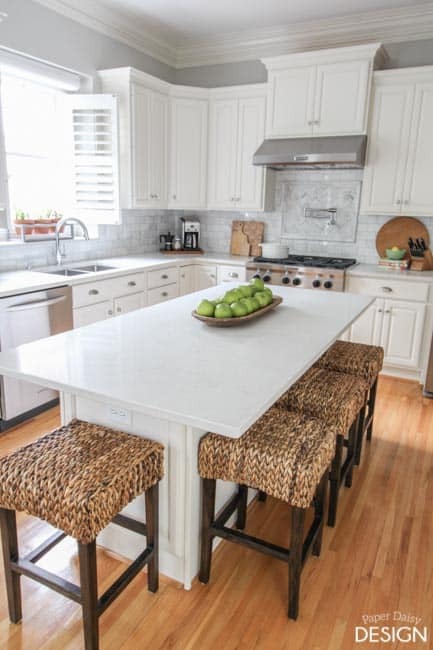 I was completely flattered, especially considering her discerning taste, while also being slightly bewildered as she had often stated that she was going to go with marble countertops. She had marble in the past, and I thought this trend would follow through! 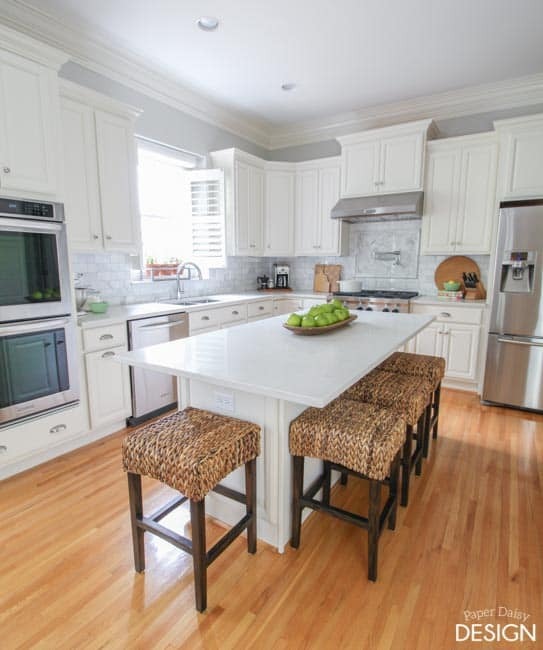 Click here to see more about my kitchen remodel. 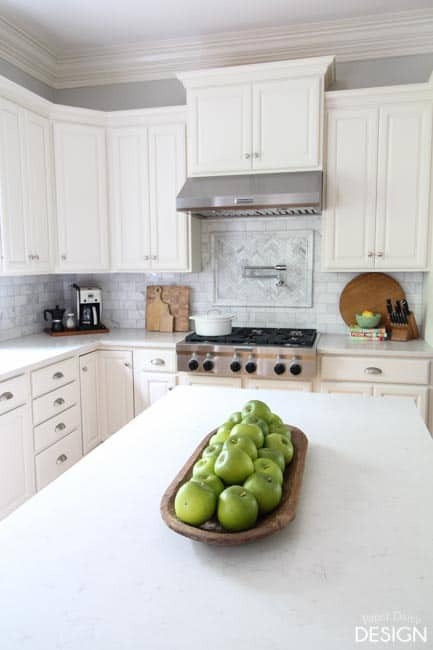 Wall: Sea Salt, Cabinet: White Duck, both by Sherwin Williams, Countertop: London Grey by Caesarstone. While my kitchen is charming, hers is truly the stuff of dreams. 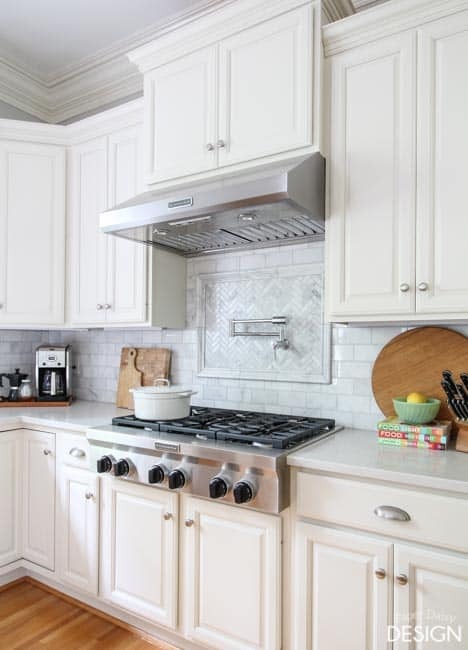 From the marble backsplash, to the herringbone inset under the oversized hood. 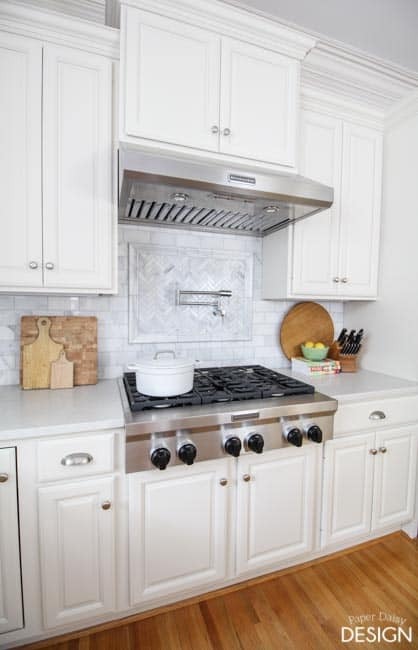 From the clean lined, sparkly pot filler, to the high end cooktop, this is one stunning kitchen. Her careful planning and hard work definitely paid off. 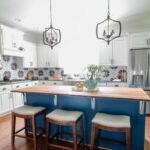 She used a sprayer to paint the cabinets herself and set all of the tile on the backsplash! 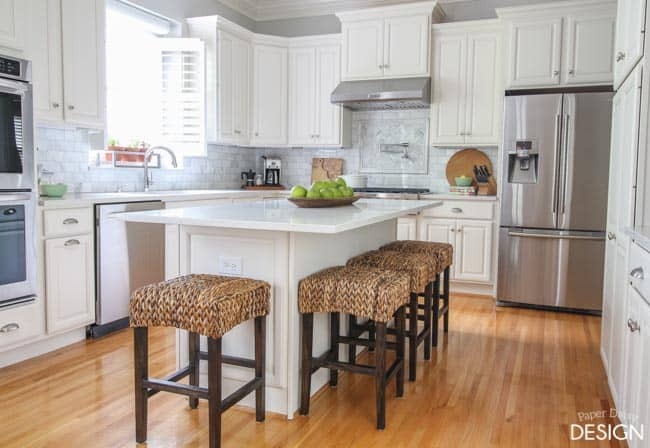 She kept the original floor plan of her cabinetry, but removed an awkward desk area and added an additional pull out pantry and microwave station. 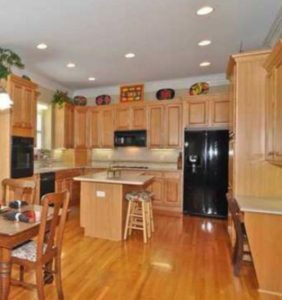 Her previous countertop had an awkward L-shape at the end, close to the fridge. Installing new countertops, made that an easy fix for extra food prep and a more fluid design. 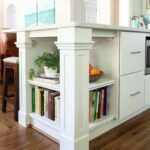 She also raised the cabinet above the hood to create more dimension and height. She was a smart shopper and secured her appliances through promotions and during sales. While we were out shopping together at a local interiors store, she found the perfect barstools. The price was right and they were exactly what she had been searching for. Proof that shopping local can be the best option. I think she may trust my judgment a little too much. She didn’t even sample the color on the wall first! I often end a post with the vote of confidence that you to can do it! And look, Mary did it! 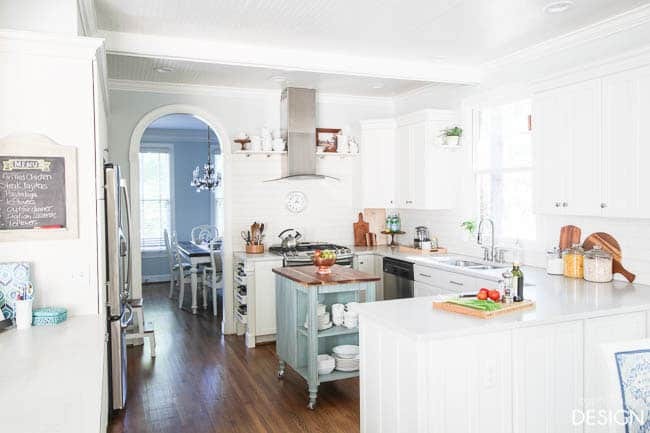 She created the kitchen of her dreams from a kitchen she thought she hated. 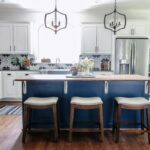 Her kitchen is exactly what I hoped this blog would produce–inspiration for everyday women, and sometimes men, to be moved and to have the confidence to tackle the projects that create a beautiful, happy home. 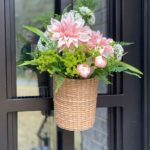 Don’t forget to enter my Spring Cleaning Giveaway featuring the tutorial of Mary’s windowsill planter. You can enter at the end of this post. Click here. 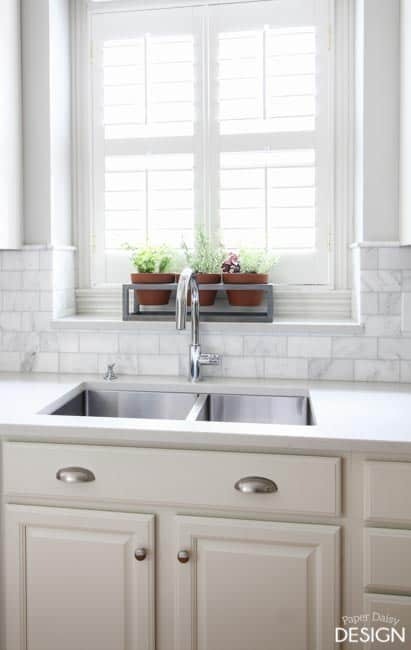 If you love white kitchens too, then you might enjoy following my Dream Kitchen Board on Pinterest. 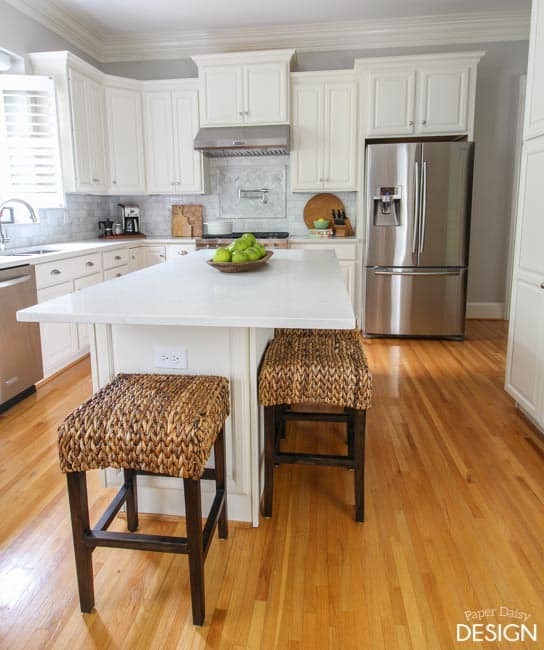 Thanks Leslie, for featuring my kitchen in your blog! You’re the best! 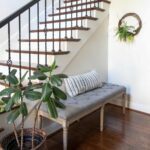 Thanks for the great inspiration, the pretty photos & the herb planter. Beautiful Mary, I love it!